We had a friend over recently and showed her a video from one of my son’s baseball games. We streamed the movie from my Google Photos account through my phone on to our television. Once the video was done, I pulled up another video from the library because most of the pictures and videos from my son’s entire life are stored there. We watched a silly hockey battle video we made when my son was two. A video of our family sledding in the Rocky Mountain National Park when from when we lived in Colorado. Using these devices and technology, we don’t have to remember anything because they remember everything for us. We can type a word in to a search bar and pull up a list of memories. We can replay our lives in sequential order in a level of detail that was unimaginable even a few decades ago. Now, our lives can flash before our eyes a`t the push of a button. Sometimes when we look at these memories, it’s like my son is seeing them for the first time. Years of his life are covered by a thick fog. Sometimes he can make out shapes if he tries hard enough, but mostly it’s just a blur. He likes seeing the videos because he likes the idea that he did those things. Meeting a football player. Getting high-fives from hockey players on their way on to the ice. Seeing the world from the top of the Empire State Building. But they’re in a convoluted state somewhere between first person and third person, but not quite either. While it’s amazing to have these memories so readily available and the ability to look so far back into our lives, it’s also a curse. It means we can never forget those things that we might want to forget. When Google Photos or Facebook offers up a memory, they can sometimes be painful. Like the time he was in status for days and we almost lost him. Or the time he was toxic on a medicine and couldn’t move his body for two days. Or they can be reminders of a time before my son was diagnosed with epilepsy that forces me to reconcile that there was a before and that there is an after. I’m glad that he will have the digital versions of his memories so that he knows we did everything we could to make his life special. I want him to be able to look back and know that, even though his life was sometimes hard, we didn’t let epilepsy stop us from living our lives. And, even though some of the memories can be hard, I’m grateful we have them, too. Because they also serve as a reminder of how far we’ve come. 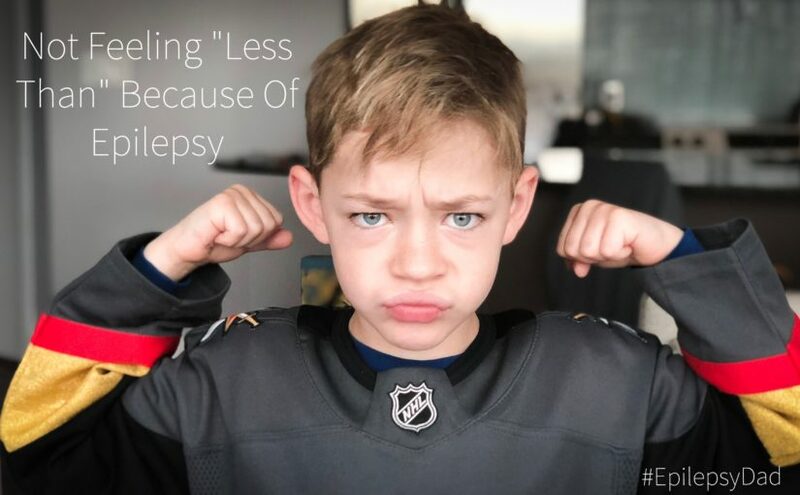 One of my fears for my son is that the world will make him feel “less than” because of his epilepsy. There is a quote by Temple Grandin where she says “I am different, not less,” referring to her autism. I like the sentiment of her message. Having a condition like autism (or epilepsy) doesn’t make one less of a human being or less important than anyone else. 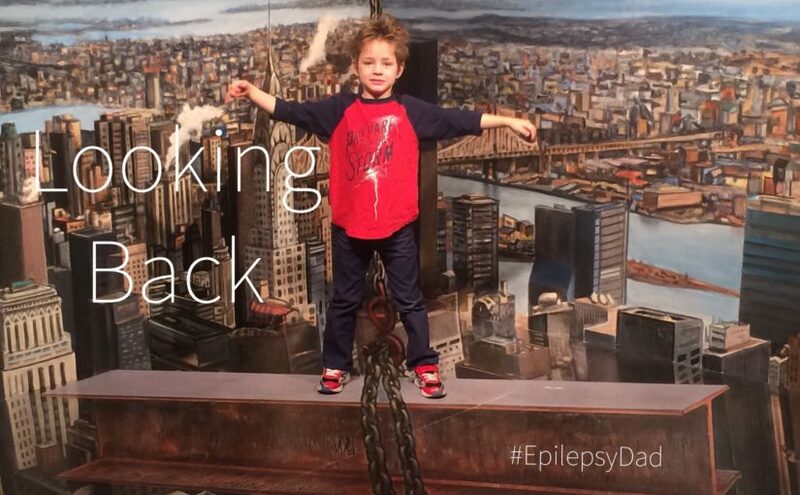 But “different” doesn’t go far enough to describe the impact that epilepsy has on my son. “Different” is blonde versus brunette, hazel eyes versus brown eyes. Those differences are superficial. 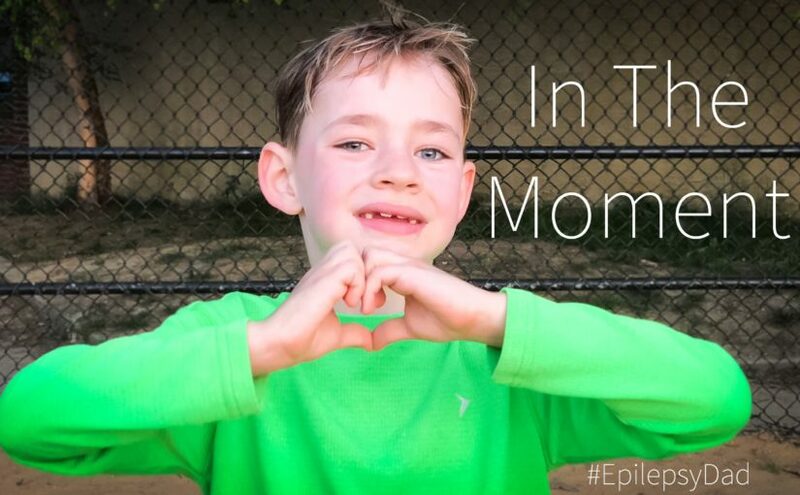 Epilepsy affects every aspect of his life, from his behavior, to how tired he gets, to the food that he eats, to how he learns and how he feels about himself. Having epilepsy is more than about being different. It’s a vital part of understanding my son. I struggle with balancing the importance that epilepsy has on his life with just saying that it makes him “different.” I want to hide his condition to protect him from the people who will use it as ammunition to attack his sense of worth. At the same time, I want to share that part of him with the world so that it can see how special he is. But I know I can’t have it both ways. I know that the tightrope between protecting him and showing the world who he is will get harder to walk as he gets older. The more he shares that part of himself, the more vulnerable he will be to the people around him that don’t understand or who are looking to exploit his condition as a way to boost their own perceived worth. At eight, the jabs are more innocent. At sixteen, the jabs will be meant to injure. So what is the answer? Maybe my son will grow out of his epilepsy and never have to deal with feeling different when he is older. It could happen, but I’m not betting on it. Even if it did happen, though, that’s not the answer. I need to continue to build him up, to help him understand his value, to understand that his epilepsy does make him different but that it does not make him “less than” someone who doesn’t have epilepsy. I need to continue to reinforce that message until he accepts it for what it is…truth. It might not feel like the world’s truth, but it must be his. I remember a few months ago sitting on the floor holding my son who was in the middle of an angry tantrum. I don’t recall what set it off but he had clearly lost control. His eyes were glazed over and he was saying hurtful, mean things while trying to hit me. It was an all too familiar Jekyll and Hyde moment when my son became someone else. I sat there, holding him, and tried to not get hurt or become angry by what he was saying and doing. I remember thinking “This is our life now.” Things were never going to change. Things were never going to get better. For the rest of my life, I would need to be there to shield the world from my son. Even when this episode passed, I felt like I would only be waiting for the next one. And there was a next one. And another after that. But with each of those episodes, I began to notice the moments in between. Those moments when we weren’t on high alert. The moments when we might have looked like a normal family. I tried to let myself believe those moments would become our new normal, but that didn’t happen, either. My mistake was treating these highs and lows and my feelings and reactions to them as a permanent thing. When I was sitting on the floor holding my son, those fears and emotions were very real and very consuming. They were all I could see. When we were happy and hopeful, I held on to those feelings tightly. They were all I wanted to see. But in both cases, the moments passed. Those feelings fell into the stream of time and it carried them away. The current of the stream is strong and unbiased. It takes away the good and the bad. When it takes away the good, it’s always faster than I want it to. Those precious moments sometimes disappear before I can appreciate them. When it takes away the bad, it’s never fast enough. The pain and heartache seem to consume me and linger longer than I think I can endure. I’ve tried to control the stream. I’ve tried to hold on to those good moments longer by slowing the flow. But I wind up focusing too hard on not letting go that I wind up not being present. While I struggle to hold on to that one moment, others are floating by without notice. I’ve tried to push away the bad moments. But the more attention I give them, the more they seem to stay with me. Instead of being pulled away by the current, they bob up and down in front of me, creating a compounding log jam of moments behind them. The hardest thing to do is to give up trying to control every moment and, instead, to be in the moment. To be aware of how the moment affects me and my reaction to it. To be present in each moment and to take what the moment offers but then to let it go.